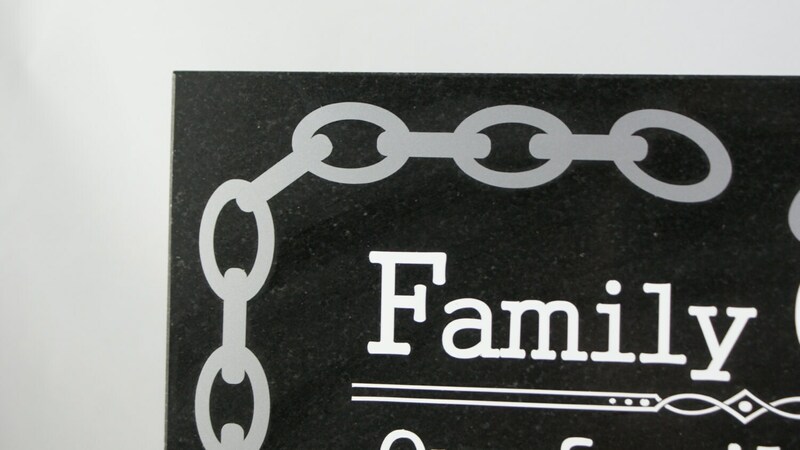 This lovely black granite memorial measures approximately 12" x 12" and sends a message of consolation and hope. 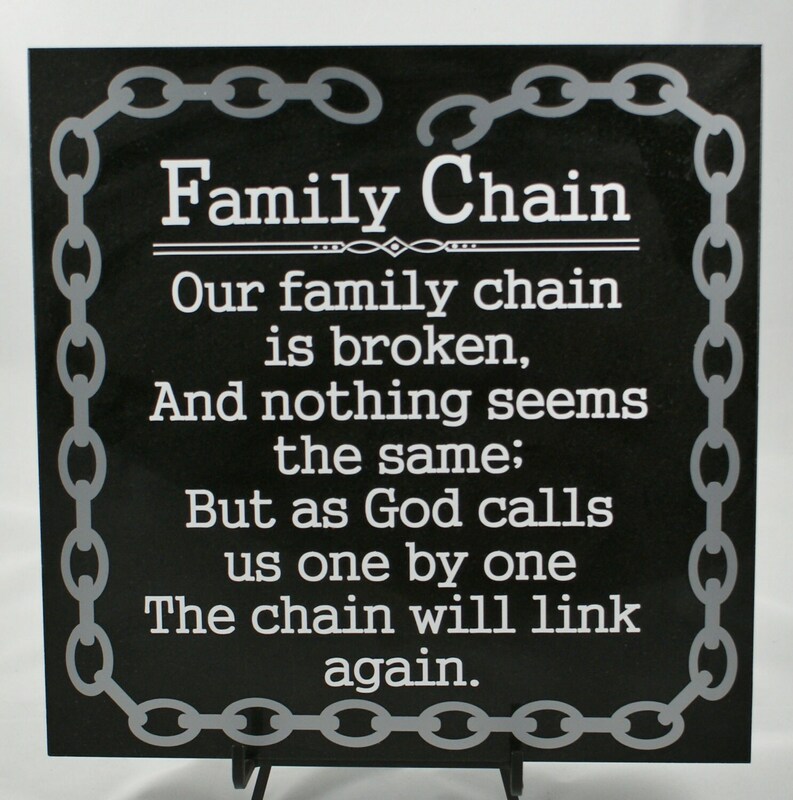 Although our Family Chain may be broken, one by one it will link up again. 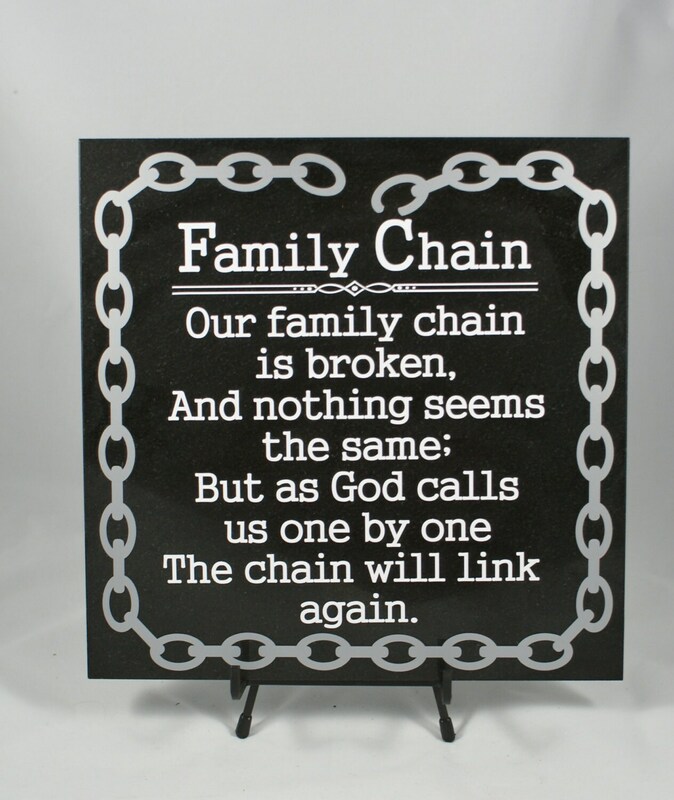 The words are white and the broken chain is silver. 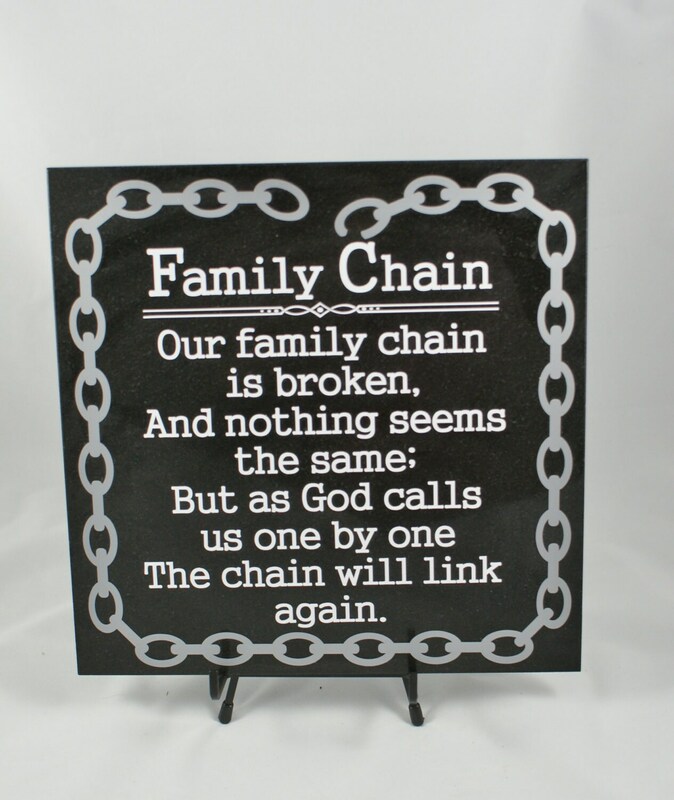 Our granite plaques weigh between 7 and 8 pounds each. The easel is not included. 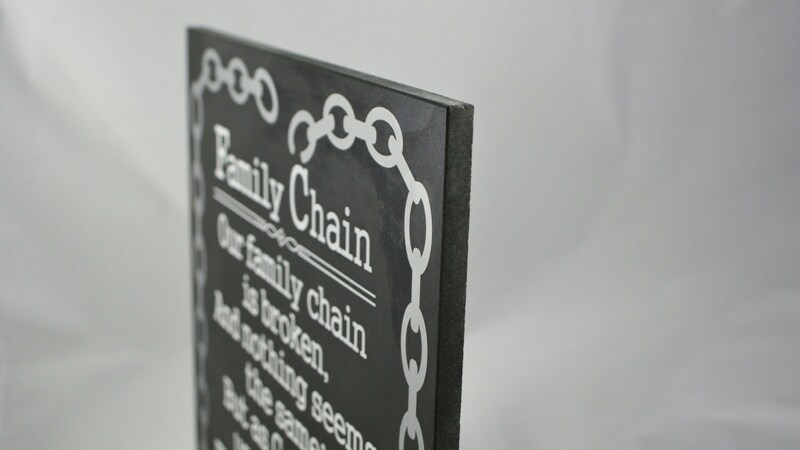 If you wish to purchase one, please let us know and we will be happy to quote the one that we recommend for this beautiful plaque.